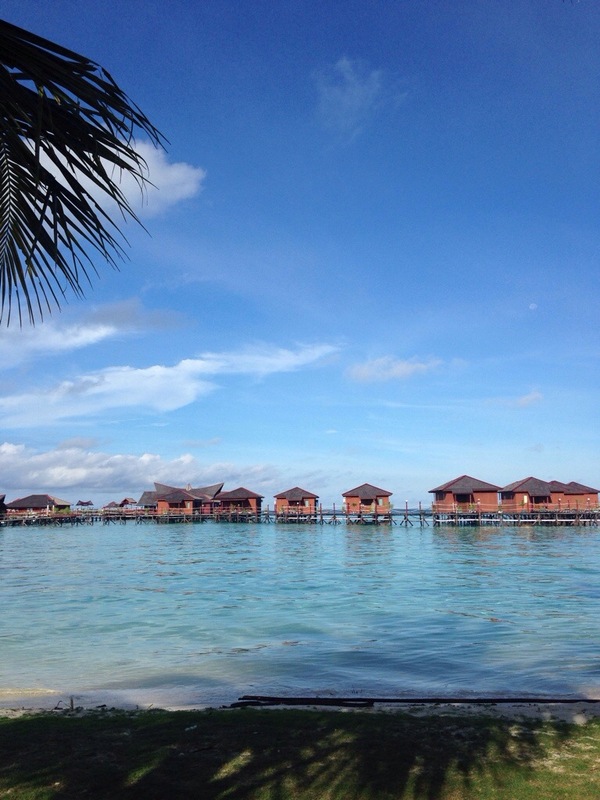 I’ve heard about Derawan Islands quite a lot before I finally paid a visit. 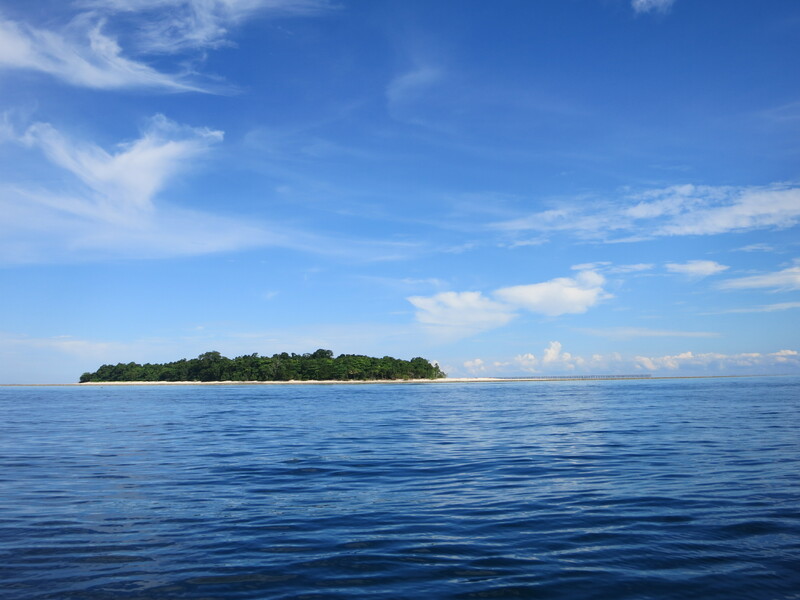 The islands – located in North Kalimantan – has been frequently reviewed on magazines and travel blogs, but I kind of hesitated to go because I read that it’s still quite hard to reach – you’d have to change several methods of transportation to get to the islands. So the trip stayed in my plans almost forever, I kept talking about wanting to go, but never actually went… until last month. Spoke to a couple of friends and gathered a group of 8 and then we registered ourselves to a travel group, called Kakaban Trip. So we went on a Thursday morning, took the earliest flight from Jakarta to Tarakan. From Tarakan, we then had to take a speedboat for 3 hours (!!!) 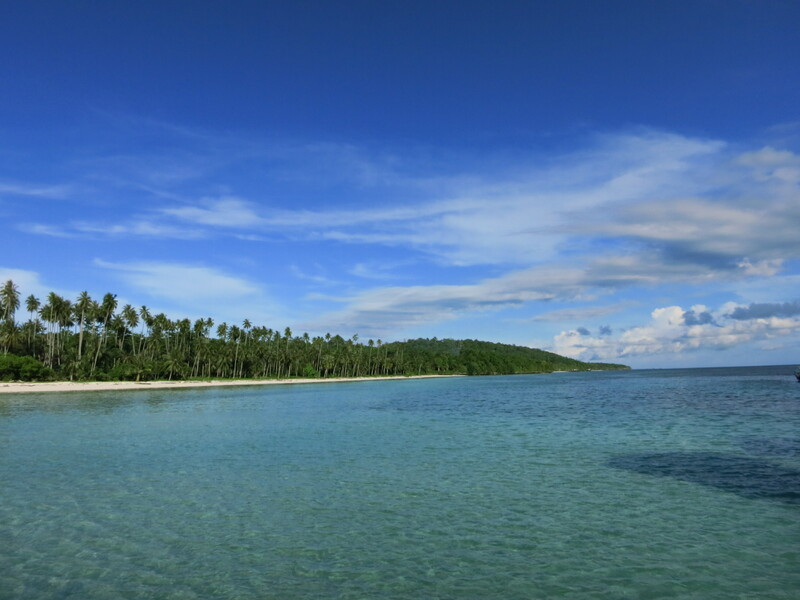 to finally reach Maratua Island, where our villa was located. Though it was realllly tiring but when we reached Maratua on the afternoon, I suddenly forgot that I was tired because of this view! 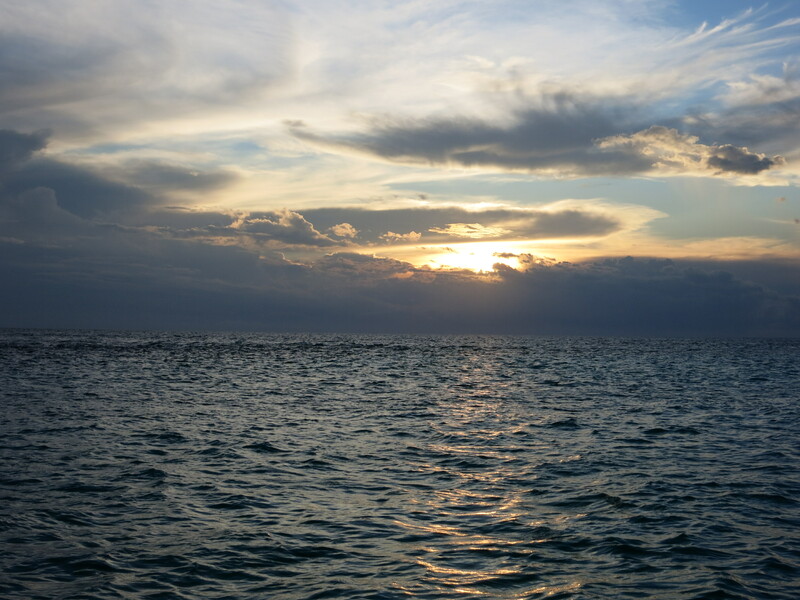 Because it’s almost sunset when we arrived, there was not many things to do except settling in to our lovely beach cottages, catching sunset, had some dinner and went to the bed early… because a lot of things were waiting for us the next day. One of the best sunsets that I’ve seen! The next day, we woke up at 4, went to catch sunrise on the other side of the island, went back to the villa for breakfast and then left for island hopping! 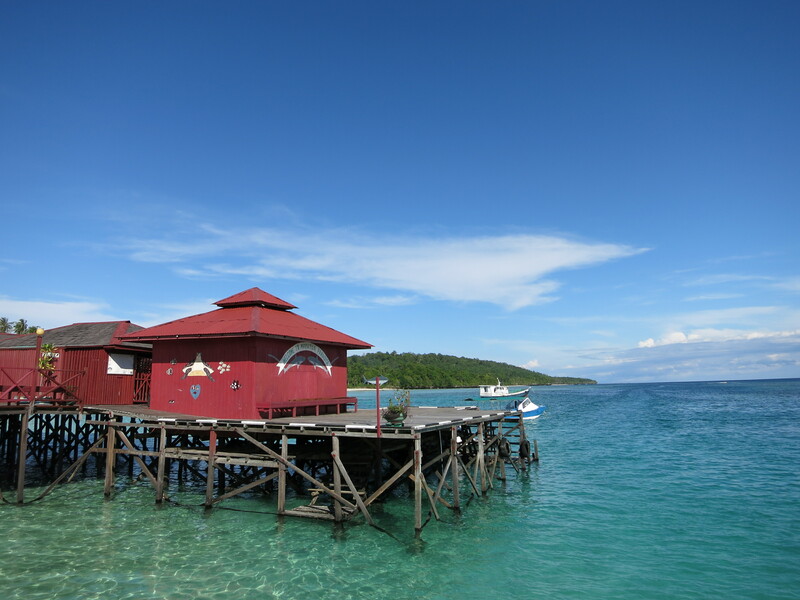 You see, Derawan Islands has a lot of islands, some big ones including Maratua. 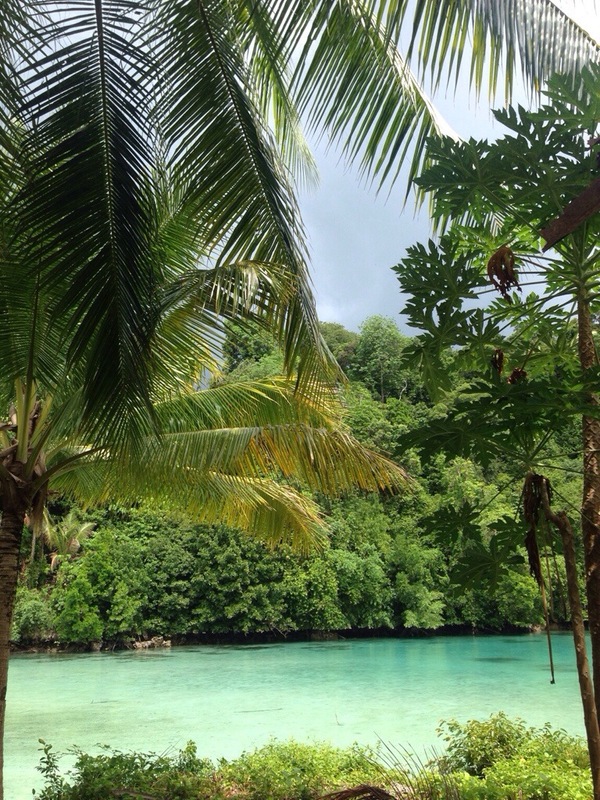 The smaller ones don’t have villas/resorts, but have beautiful snorkeling/diving spots. My personal favorite – Gusung Island! 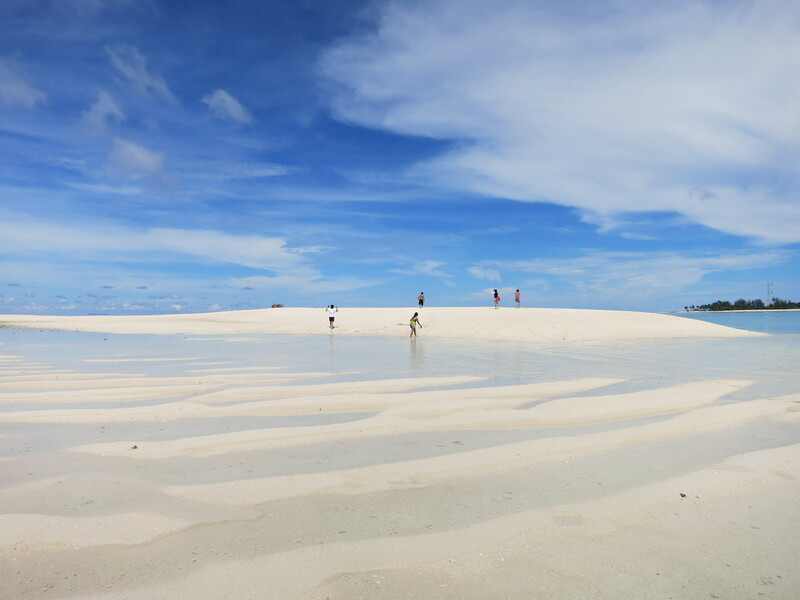 White sands, clear sea, blue sky! 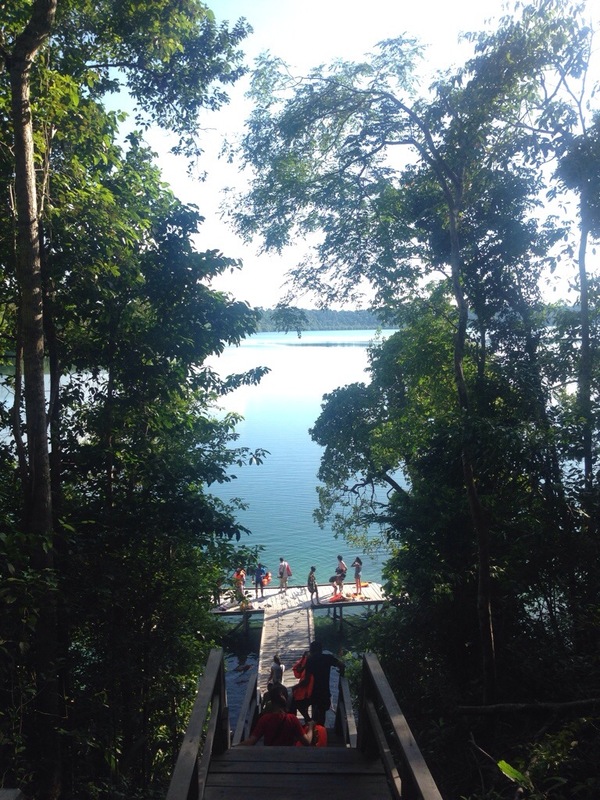 On our third day, we went island hopping to the smaller islands. I don’t remember all the names, but one that really caught my attention was Kakaban Island. 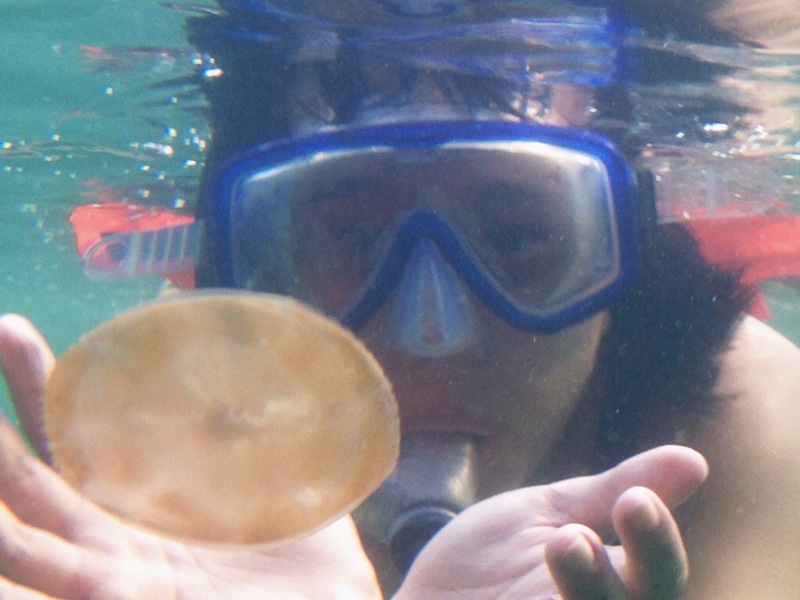 I visited two parts of the island – where there’s a big lake full of sting-less jelly fish (you can swim with them! ), and another one to see a pretty lagoon. We swam with the jelly fish, and spent some time in the lagoon. Interesting fact, we had to do some caving to get out of the lagoon. Definitely once in a lifetime experience! I swam with the jellyfish! After island hopping, snorkeling, and all the fun times in the islands, it was time to go home. We left the island the Sunday afternoon, went on another 3 hours speedboat ride (!!! ), spent some time in Tarakan before finally going back to Jakarta. I really really looooove Derawan Islands, definitely worth the long journey and even the sunburn! :p oh, btw.. Do browse #thisisderawan on instagram to see more pics from me and my friends! 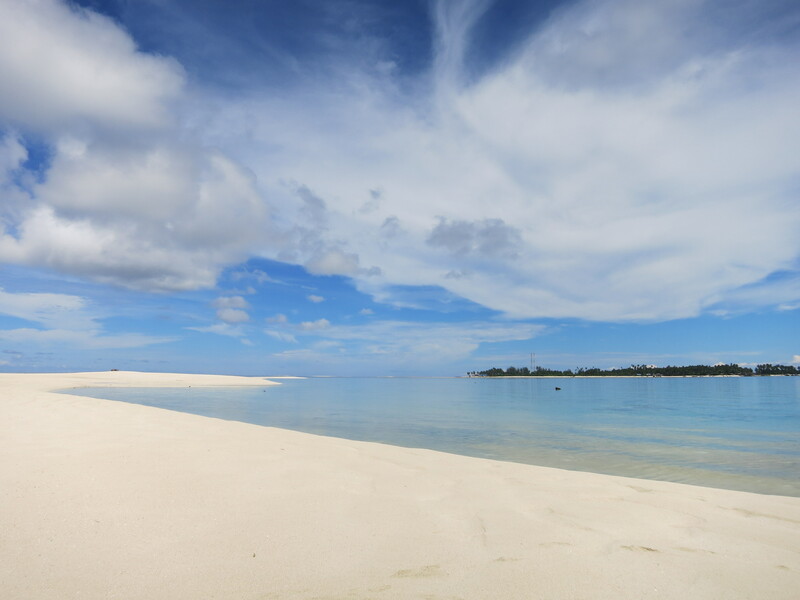 Beautiful sandy beaches indeed and idyllic lagoon. Will put this on my destination list. Thanks for sharing Christa. Next Next post: Selamat datang di Jakarta, Uber!